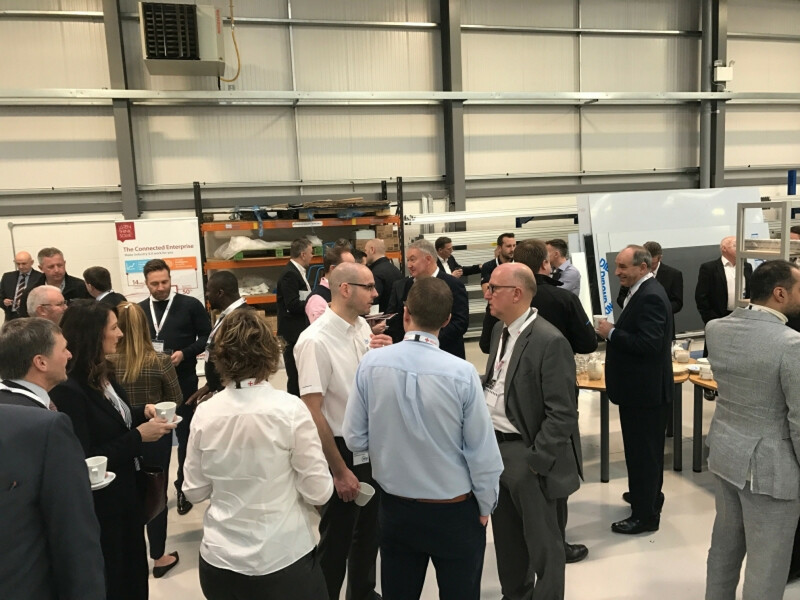 Suppliers of automated measurement and testing machinery, Torus Technology Group hosted the latest sell-out Made in the Midlands breakfast networking event at their premises in Telford, Shropshire. Torus offer a complete service for design, manufacture, integration and support of specialised solutions for Automotive, Aerospace, Packaging and other related manufacturing industries. Their design capabilities complement customer specifications; working closely at an early stage with the customer to realise their requirements and deliver a precise and accurate product. Torus hosted guests in their purpose built 10,000 square feet facility which accommodates Torus Automation and an additional machine workshop with the latest CNC machining centres for internal manufacturer of complex machine parts. The facility was created as a significant part of Torus expansion plans and will enable them to combine the organisations of Torus Automation Systems and Torus Measurement Systems. Torus offers advanced engineering facilities, as they have built their reputation on delivering quality and service which has been developed over the last 15 years. Torus has an experienced team of project management specialists, enabling a highly efficient and smooth running of projects for customers. They possess extensive experience in Supply Chain Management enabling excellent Global purchasing and procurement capabilities. The next Made in the Midlands breakfast event will be hosted by Hexagon Manufacturing Intelligence again in Telford, Shropshire on Thursday 23rd March. Hexagon have increased their capacity to allocate 100 members to their innovative premises. The company have a continuing vision to realise truly data-driven manufacturing. You can register your ticket here. If you are interested in hosting a breakfast event of your own, please contact our Group Events Manager Iwona at: [email protected] and to register your exhibition ticket, please visit this link.